Our goal at New Look Dental is to provide the most thorough preventive dentistry possible today for everyone in your family. We pride ourselves on staying current with the latest information regarding oral health and using the most advanced tools to prevent issues with your gums and teeth, now, and into the future. Educating and sharing information with our patients about the best ways to care for their teeth, combined with delivering precise yet gentle dentistry during dental cleanings, is what comprises expert preventive dentistry. 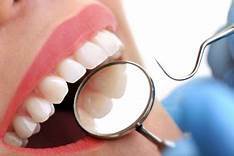 The specific aim of preventive care is based on the fact that most dental issues, such as cavities, and gum disease, can be avoided with proper diet, oral hygiene and regular dental checkups. To ensure your optimal oral health, dental exams typically include a visual assessment, x-rays, a dental cleaning and oral cancer screening. The frequency of these services varies depending on the overall health of your teeth and gums, as well as your dental care habits. During your dental x ray, multiple views will be taken of your teeth to determine if there are any hidden cavities or decay, while the utmost safety precautions are taken. Next, we measure your gum pockets, checking to make sure there are no signs of gum disease. Additionally, oral cancer screenings are conducted with the ViziLite PRO® Screening System and enamel wear and sensitivity are assessed. To further help resist decay for both children and adults, fluoride treatments and dental sealants on molars, to keep decay out of the grooves, are wonderful tools used in preventive dentistry. If decay is found, a tooth-colored, mercury-free dental filling can be done on the spot. For every procedure, we uphold the highest standards in sanitation practices for our patients. As part of our ongoing efforts to encourage optimal dental hygiene between visits, we are happy to show you how to floss properly, and instruct in brushing techniques. Just ask us! If we can help you have the healthiest smile possible for years to come, then we will have achieved our goal. Call us to schedule your next regular dental checkup today.